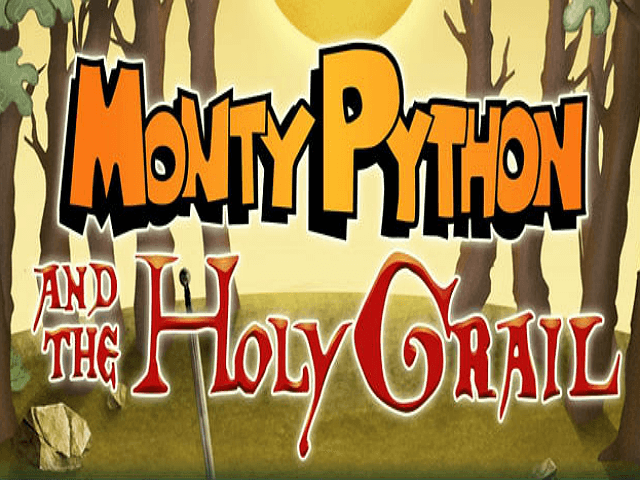 If you're looking for a madcap adventure with tons of ways to win, the Monty Python and the Holy Grail online slot game is for you. Featuring all the crazy comedy capers you'd expect from a slot bearing the famous Monty Python moniker, this Playtech spinner is perfect for those that love entertainment and, of course, money. To help ease you into the slightly strange world of Monty Python and the Holy Grail, we've compiled a quick guide. In this review we'll give you the lowdown on its finest features and show you why this game is as fun as it is financially alluring. Play Monty Python and the Holy Grail for Real Money! 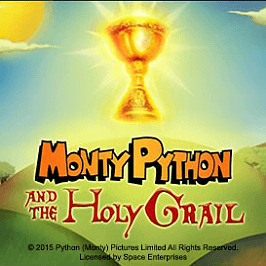 The Monty Python and the Holy Grail slot game is part of Playtech's Monty Python series (which includes a Spamalot game) and features a number of recognisable themes. For example, instead of bonus rounds that seem disconnected from the main game, Monty Python and the Holy Grail adds characters and storylines to its bonuses. 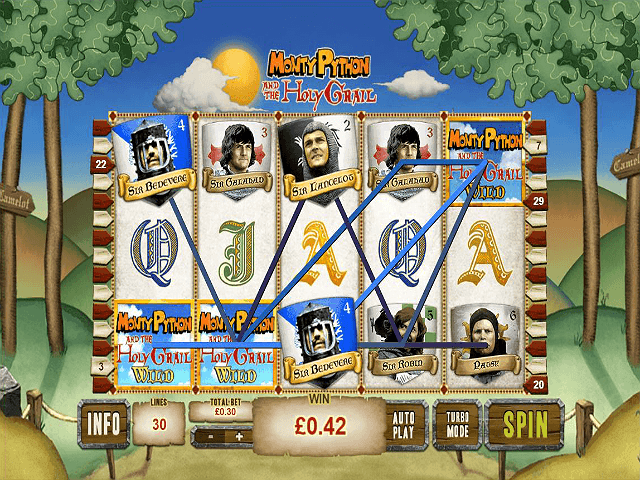 This is something you'll find across all of Playtech's Monty Python slots and is one of the main draws to this game, particularly for fans of the film. Beyond the themed features, Monty Python and the Holy Grail is set inside a forest. Again, instead of a simple set-up where the reels and symbols are disconnected from the main basis of the game, the developers have set everything inside a relevant environment. As well as staying true to the original Monty Python and the Holy Grail movie, this setting makes the game a lot more interesting to look at. As great as this video slot looks, it all counts for nothing if you don't know how to play. Fortunately, as with all modern slots, setting Monty Python and the Holy Grail's five reels in motion is simple. With 30 paylines fixed in place, the only variable you'll have to adjust is the 'total bet'. In this instance, the action will start when you wager between £0.30 and £750 per spin. Finally, once you've set the game in motion, Monty Python and the Holy Grail's payout table will offer prizes ranging from 5x your line bet to a whopping 5,000x. In fact, what's truly impressive about this video slot is that you'll have two ways to win the 5,000x jackpot. If two Monty Python and the Holy Grail jackpots wasn't enough, then how about a few free spins to go with them? After you've rolled in three or more scatters, you'll unlock the Quest of Camelot free games feature where you'll have the chance to start one of three bonus modes. 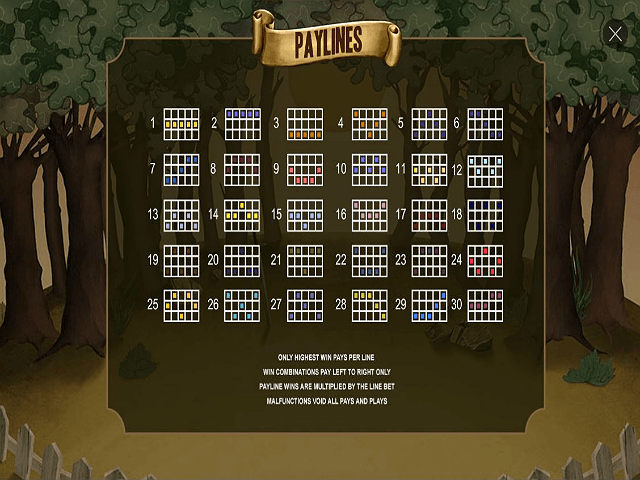 Depending on whether you unlock the Castle of Britons, The Forest of Bravery or the Cave of Caerbannog game, you'll receive a unique set of modifiers designed to enhance your free spins. This special feature is something that certainly helps to set Monty Python and the Holy Grail apart from its peers and, moreover, make it one of the most entertaining slots on the market today. Grab your coconut shells and ride on to victory, brave knight. Share this Monty Python and the Holy Grail Review today! 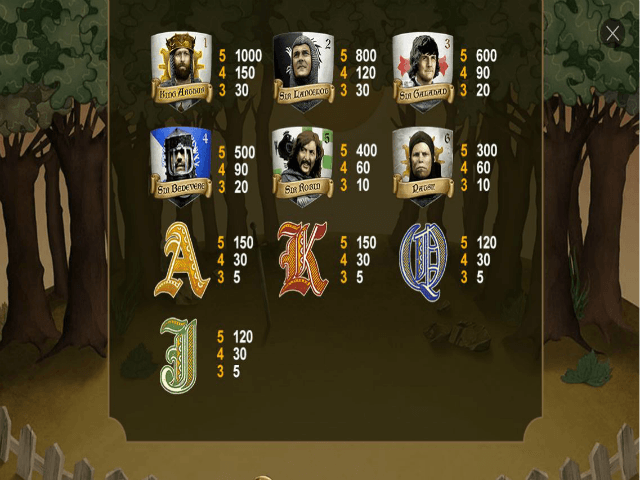 If you like Monty Python and the Holy Grail, you'll love these slot titles too!